rides, as well as familiar favourites “Owls About Town” and “Tom’s Talking Reptiles”. 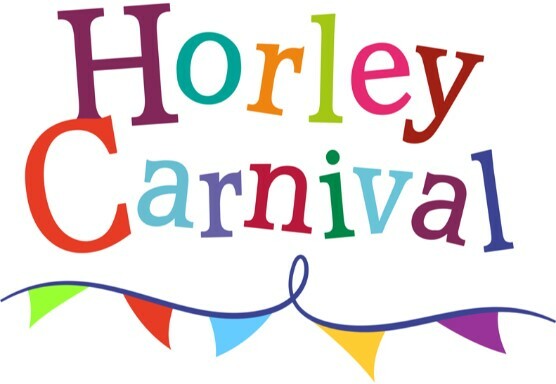 If you would like to take part in the Parade or have a stall at the Recreation Ground, please email horleycarnival@gmail.com or contact Horley Town Council for an expression of interest form. Horley Carnival brings together the whole community, attracting thousands of visitors. 2018’s theme was heroes and villains and this saw a colourful parade and floats by local schools, organisations and businesses, well done to all the participants. 2018’s event included four bands, a full programme of arena events including Paws for Thought, a dog display team, the Black Eagle Gymnastics Team, Amazing Animal Encounters, interactive talking cycling characters from Animatronics, reptiles, Owls About Town, Punch and Judy show, stalls and an evening fireworks display sponsored by Beach’s Funfair. Thanks to the organising team which has comprised Horley Lions, 41 Club, East Surrey Guides, Susy Radio, Horley Town Council, Chamber of Commerce and A Goddard. Also thanks to MAD Ideas marketing & design and our many sponsors who include Gatwick Airport Ltd, Reigate & Banstead Borough Council Councillors and local companies and individuals listed in the ‘thank you‘ page at the back of this year’s Carnival programme; also the numerous local companies who have sponsored the Carnival brochure. Thank you for supporting your Carnival!